O.J. 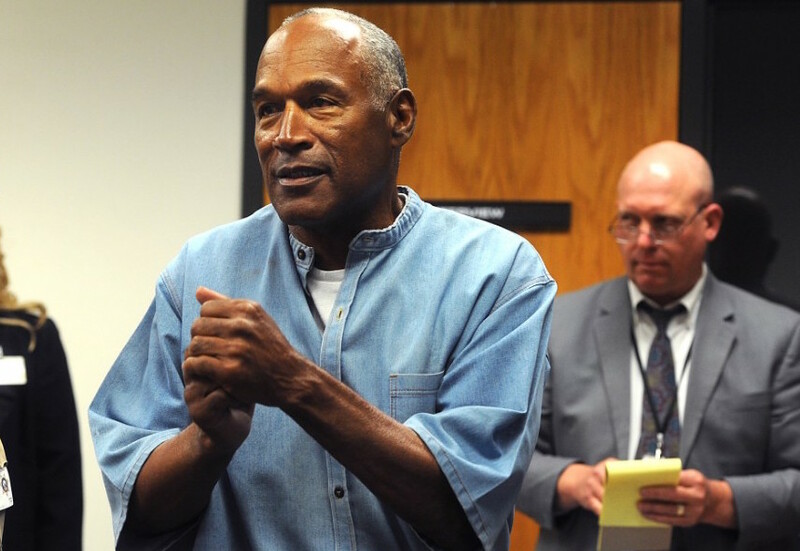 Simpson has been spotted for the first time since his release from jail. The jailbird was seen at a gas station, shortly after he was quietly released from Lovelock Correctional Facility on Sunday. A photographer spotted and engaged the star who was still in his prison blues. How does it feel to be out, the photog asked. Simpson says, how would I know? Y'all stalking me? When asked where he was headed, Simpson said, 'it's none of your business', before making it clear he was yet to experience freedom as he's been in a car for the last five hours, "how do I know what it feels to be out"? he fires back at the poke-nosing photog. He however said nothing has changed in his life in the last nine years of his incarceration. Simpson was released from jail on Sunday at about 12am after serving a 9 year jail term for armed robbery and kidnapping.